Lazio, a region that was once the jewel in viticulture has been reawakened by a new generation of biodynamic winemakers. Palazzo Tronconi Eco Winery was the backdrop to an evening dedicated to 10 Biodynamic wine producers from the Lazio region. The evening was hosted by one of Italy's most knowledgeable and passionate sommelier's, Sandro Sangiorgi he was assisted by Matteo Gallello, a biodynamic winemaking advocate. Valuing their territory and the importance of their indigenous grape varieties these winemakers have teamed together to promote their shared vision, to produce a unique style of wines naturally that are focused on quality and that characterise this region. Like many Italian wine regions, Lazio's wine heritage is ancient. It is a region composed of hills, and mountains and is uniquely suited to viticulture because of its mild climate, a rich and varied geological mix of soils of which volcanic soils are prominent, coastal breezes, adequate rainfall, variations in day-night temperatures and an abundance of rare, high-quality native grape varieties. 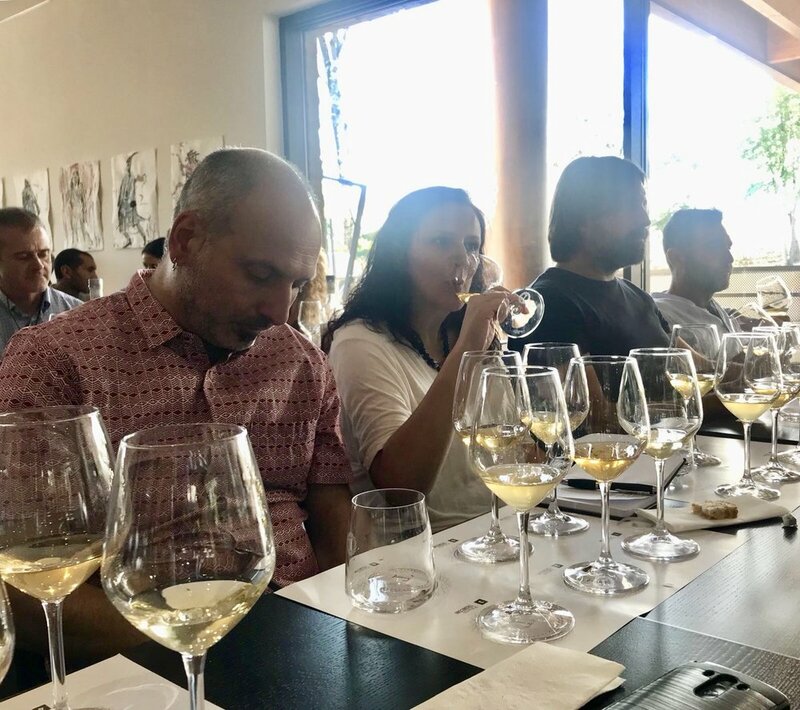 Soon these winemakers will find themselves on the radar, the world of wine is beginning to sit up and notice as they are on the brink of rediscovering the true potential of these wines and this territory. Andrea Occipinti, Cantina Ribela, Carlo Noro, Damiano Ciolli, La Visciola, Palazzo Tronconi, Podere Orto, Riccardi Reale, DS Bio, Casale Certosa.